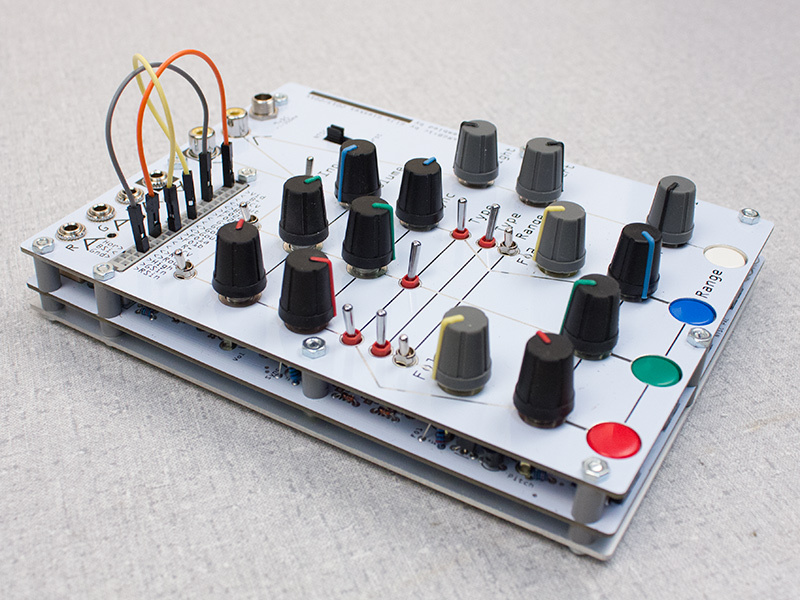 Analog A/V synthesizer/effect by Gieskes. 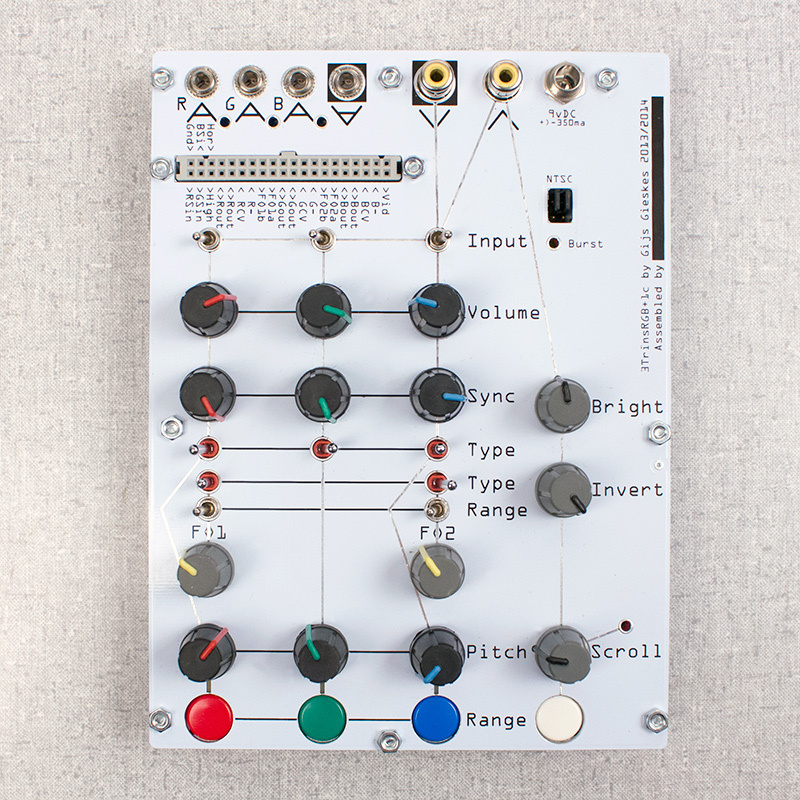 The 3TrinsRGB+1c is no longer available from Bleep Labs but you can get kits units directly from Gieskes. 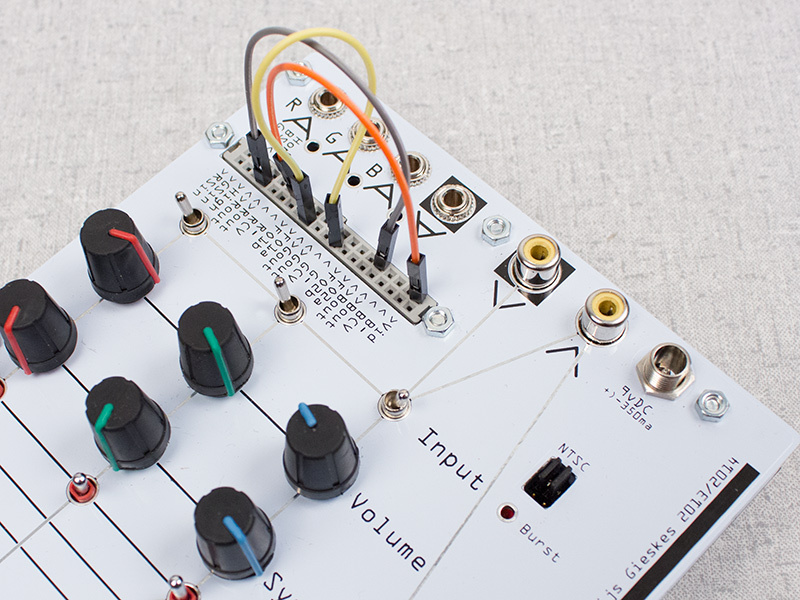 The 3TrinsRGB+1c is an analog audio/video synthesizer/effect designed by Gieskes. On it’s own it can produce A/V insanity with it’s built in, patchable, waveshape adjustable, analog oscillators. With an external audio, CV, and video signals the 3trinsRGB becomes a gateway to the video hyperverse. 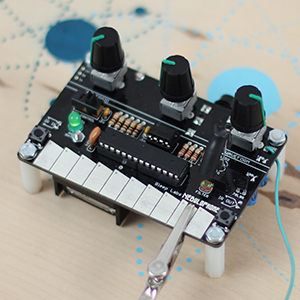 – Analog video and audio synthesizer. 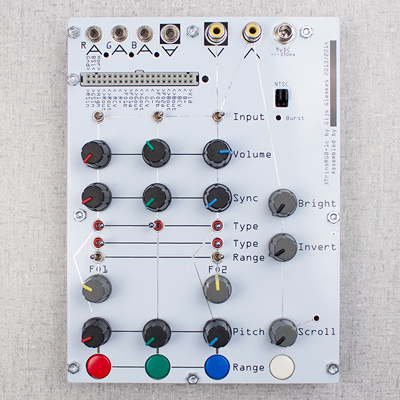 – CV inputs for each RGB channel that can be used with audio and modular level signals. – Audio output of internal oscillators and CV signals. 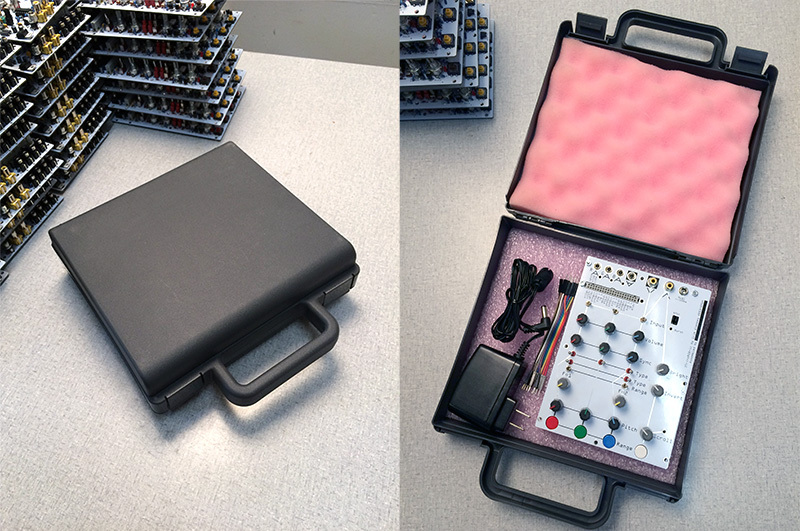 – Patchbay allows you design complex interactions between the oscillators, RGB channels and i/o. 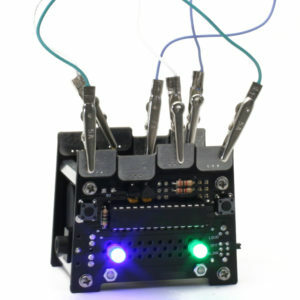 It also make it easy to prototype your own tiny circuit “plugins” (more into on this soon). – Analog composite video input and output are compatible with NTSC and PAL. – Comes with a durable plastic carrying case. – Power supply for use in the USA available. If you’d like order a kit you can get it directly from Gieskes. 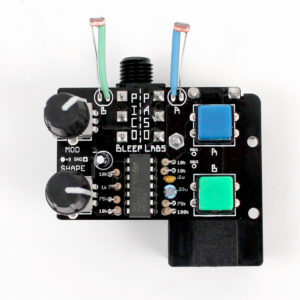 Please note that Bleep Labs cannot offer support on 3TrinsRGB+1c kits. Thanks to LZX Industries for design assistance. (Who’s video devices pair quite well with the 3T). What’s the Arduino code for if it’s analog? The 3TrinsRGB uses an Atmega328 for timing the output video. The signal path is all analog. So the inputs are just for audio or CV? They are for both! You can attenuate strong signals, like those coming out of a modular, with an onboard trimmer. The inputs are AC coupled so changing signals work best. How do I get video into it from my computer? Use a VGA to composite, aka RCA, adapter like this. What about into my computer from the 3TrinsRGB? Use a video capture device like this. Any video input signal works? Will it mess up my LCD or projector? Modern devices work great but some VCRs and older video game systems like the NES won’t sync correctly. The output signal will be accepted by any device that takes composite video. The 3TrinsRGB+1c has an optional 9V power supply for use in the United States. For other countries a 9v, center positive supply that provides at least 350mA is required. Email drbleep@bleeplabs.com with any questions.